First time buy from Pureformulas and found this seller is good. Dr. prescribed CoQ10 by Metabolic Maintenance for me as Im on statin drugs and my dogs vet also put her on Metabolic Maintenance CoQ10. So I figured I would take that brand too! If its good enough for my dog its good enough for me! CoQ10 or coenzyme Q10 is a natural substance that your body makes. It’s kind of like a vitamin‚ and is required by every one of your cells in order to function properly. Each cell uses CoQ10 as an energy source for growth and maintenance. It’s also a powerful antioxidant‚ meaning that it neutralizes potentially harmful molecules called free radicals. As you age‚ the amount of CoQ10 your body produces gradually begins to decline‚ which usually affects your heart the most. 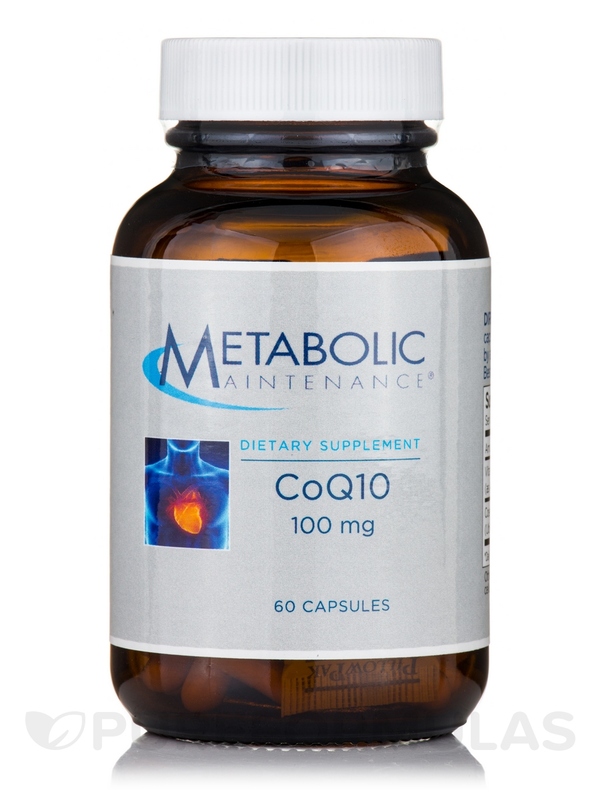 Supplementing your body’s own natural CoQ10 with Metabolic Maintenance’s CoQ10 Capsules can help you maintain its levels. Studies conducted in Australia discovered that CoQ10 supplements may promote faster cardiovascular healing. CoQ10 may work to relax your heart muscle‚ leading to better blood flow throughout your body; as a result‚ it can help you maintain healthy blood pressure levels. In addition to these amazing health benefits‚ CoQ10 has also shown the potential to slow the progression of symptoms associated with certain conditions. This product may also be helpful when it comes to treating painful migraines. In addition to 100 mg of Coenzyme Q10‚ each capsule contains 120 mg of Vitamin C. Vitamin C is necessary to stimulate your body’s own production of CoQ10. 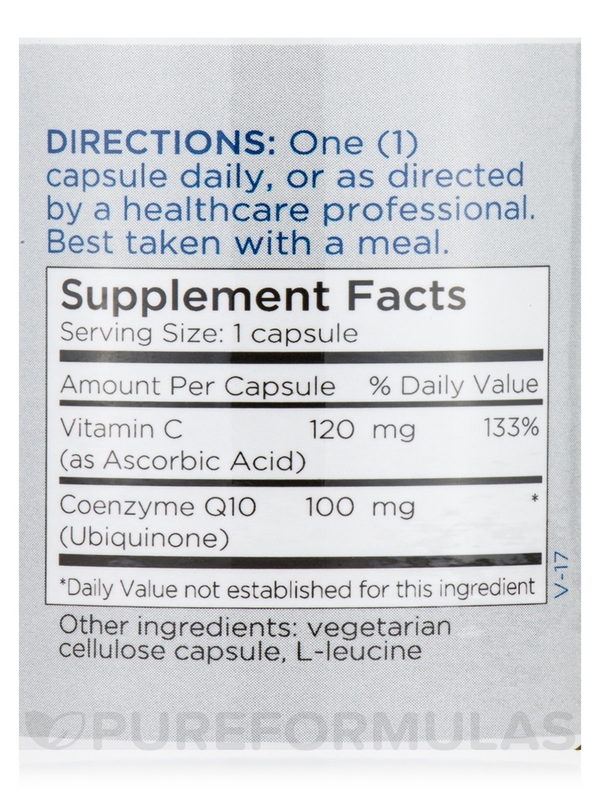 This supplement has been found to be more readily absorbed than the leading CoQ10 softgel‚ making it an obvious choice if you’re looking for the best source of CoQ10 available. It’s most effective when taken with food so make sure that you take your dose with a meal. 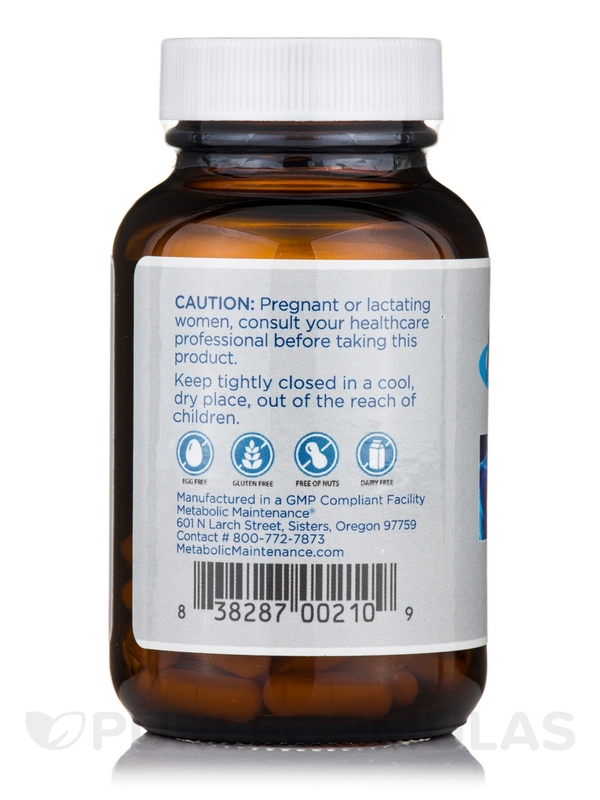 One bottle CoQ10 by Metabolic Maintenance contains 60 capsules‚ which is a two month supply if you take one capsule per day. 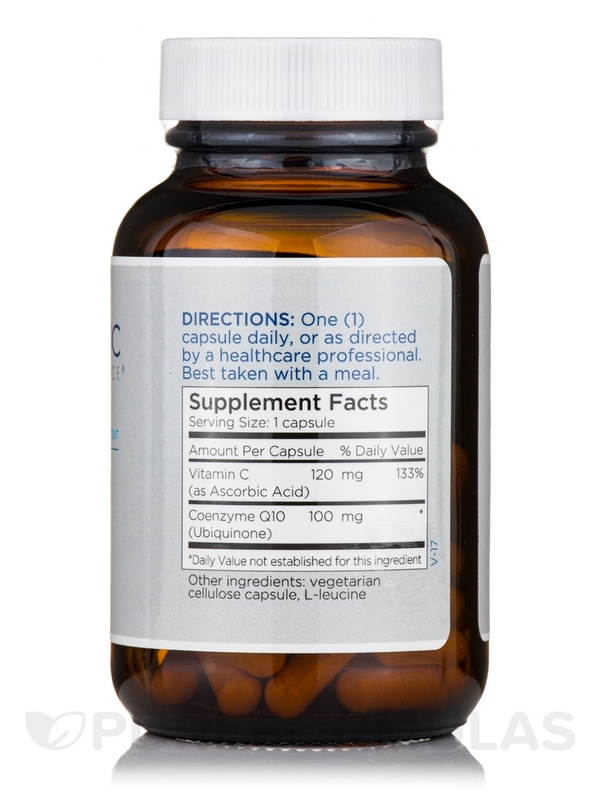 One (1) capsule daily with a meal as a dietary supplement‚ or as directed by a Doctor. 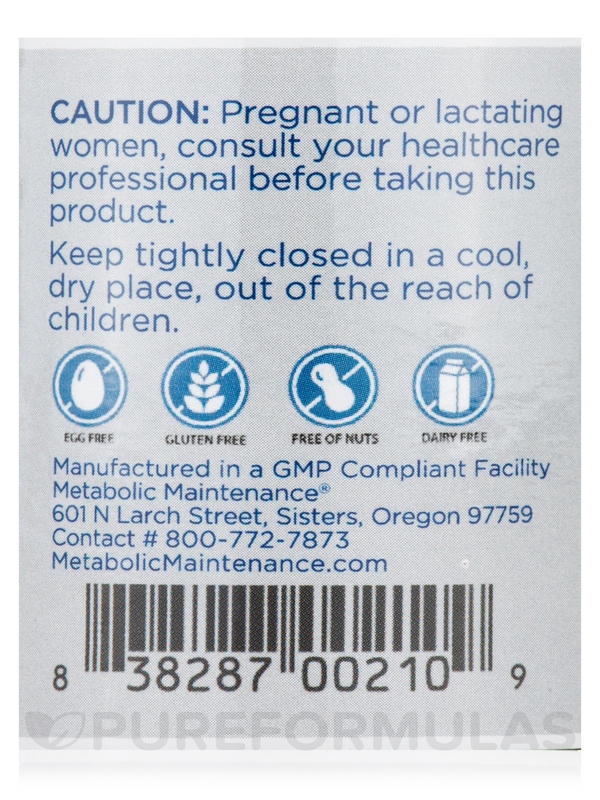 Caution Pregnant or lactating women‚ consult your healthcare professional before taking this product. Vet prescribed CoQ10 100 mg by Metabolic Maintenance for my dog and Pure Formulas has the very best price! And FREE SHIPPING! YAY! Everything Ive ordered from you has been shipped really quickly and I appreciate that. Thank you for being such an excellent company! CoQ10 for me and my dog! Good package for the product (glass bottle).